Description: Dorset Police Male Voice Choir - Pilgrim Bandits Charity Night. Dorset Police Male Voice Choir are performing for the Pilgrim Bandits Charity on the 9th February 2019, with special guest West End star Richard Knight (Les Miserables, The Phantom). This choir is known nationally and has performed internationally. The Pilgrim Bandits raise monies for injured service personnel who have either physical or mental disabilities to overcome. Their latest event has been to pedal cycle the length of New Zealand. Please join us for a wonderful evening of entertainment. A superb raffle will occur as well as refreshments at the interval. Some of the vets will be present at the event. This was last run in 2012 and proved to be a very successful and enjoyable evening in this amazing hall. 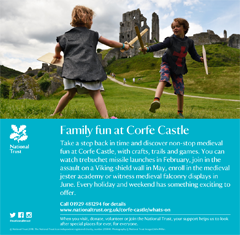 Adult	£8.00 per ticket Concession	£5.00 per ticket Please let us know you saw us on What's On in Dorset!